This is a simple recipe which you only need to put in a plastic bag and heat it up in hot water. All you need to do is to cut the vegetables and put it into a plastic bag. It is easy as you don’t need wash any cooking utensil. Please remember to use the plastic bag which is semi-transparent for this water heating recipe. 1. 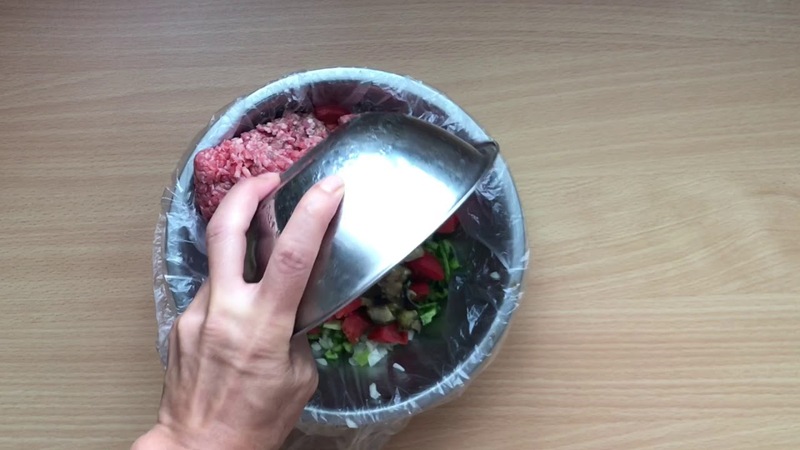 Place the plastic bag onto a bowl and put all of the ingredients into the bag. 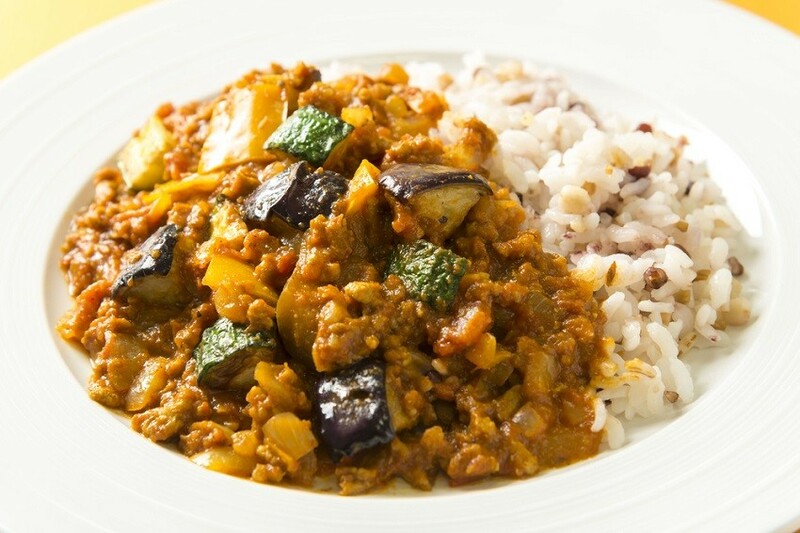 Today we are using onion, capsicum and eggplants as ingredients. 2. Hold the plastic bag with one hand and massage to mix well the bag ingredients with another hand. When it is mixed well, pull out the air in the plastic bag firmly and then tie up the the bag tightly. It will be even better to tie up with a rubber band. 3. Sink the whole bag in boiling water and heat up for 20 minutes with lid covered up. Stop the heat, wait for another 5 minutes until the meal is ready. You may sprinkle some parsley or topping with a soft-boiled egg to make it look even nicer. 1. Heat up plenty of hot water in a small pan and stop the heat when it boils. 2. Add one big tablespoon of water to slightly lower down the temperature. Then, put in the eggs and wait for 15 minutes. 3. Cool down the egg by moving it to cold water. Soft-boiled egg is completed!